Looking back, I think my biggest mistake was grabbing a word and assuming I knew exactly what it meant. And then letting it limit my world. An example of this is the word “stress”. I had decided that I knew what stress was. It was done by others to me at work or outside, and I couldn’t do much about it. 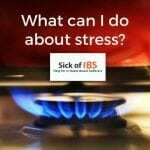 So when I read that “stress can be a contributing factor to IBS” I sighed and thought how useless that information was. If I had stayed open to that information and been curious enough to dig deeper, I would have solved this part of my puzzle much sooner. But I was feeling tired, frustrated with IBS and not really open to digging. I was scan reading and rejecting what I thought didn’t fit. And in so doing, I missed it. By digging deeper I began to grasp the process. And I discovered new doors opening. If you dig deeper, you can find that stress is essentially a reaction we have to something we see or feel as negative, and this can be conscious or completely unconscious. It is our body and mind trying to protect us. It is a vast subject because we perceive situations from our own perspective based on who we are, how we were brought up, our culture, our beliefs, our life experiences, and what they have “taught us”. Last, but by not means least, I should mention suppressed emotions that can come up time and again as triggers until we let them go. And our perception can even be altered depending on how we are feeling. Have you ever had the situation where you get a mail from someone that really gets you reacting? And when you read it again the next day you realise that there was nothing to get so upset about? Our reaction to stress can serve us – but it can also get in the way. Our reactions can overwhelm us totally, or they may create tension in our bodies and give us some unpleasant physical signals. With time I came to understand that in my case situations from my past were changing my perception and reactions to different situations in the present. And this is why I had become so sensitive to them, and that they had become a source of “stress” to me. I accepted that my stress was essentially coming from my reactions (as I wasn’t facing any real danger). Once I was open to this, I very slowly started to notice patterns – as well as find ways to work on making improvements. 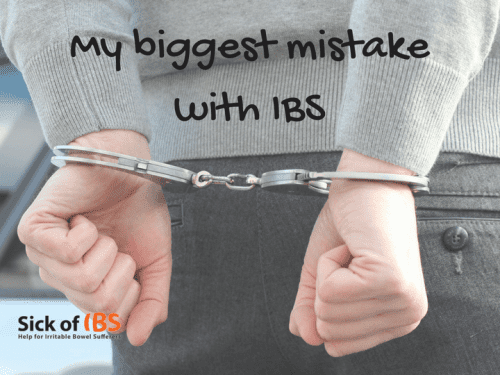 If you are reading my blog you are already open and looking for solutions for your IBS. But it is time to get that spade out and dig! My challenge for you is to take a completely fresh look into stress over the next few weeks. Approach the subject as if you are discovering it for the very first time. Get a really rounded and informed point of view on the subject and stay curious. What causes stress, how it works, where exactly the adrenals are, what sort of reactions stress can cause in the mind and body, how the nervous system works, the knock-on chemical reactions of stress… If you feel you might be concerned look into the relationships between stress, anxiety and panic attacks too. 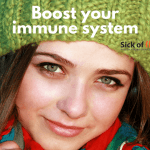 Then start looking inwards for any potential patterns between situations and your symptoms. 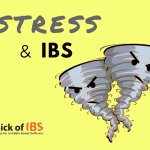 Stress may or may not be a real issue for your IBS. But it is worth looking into and crossing off the list.